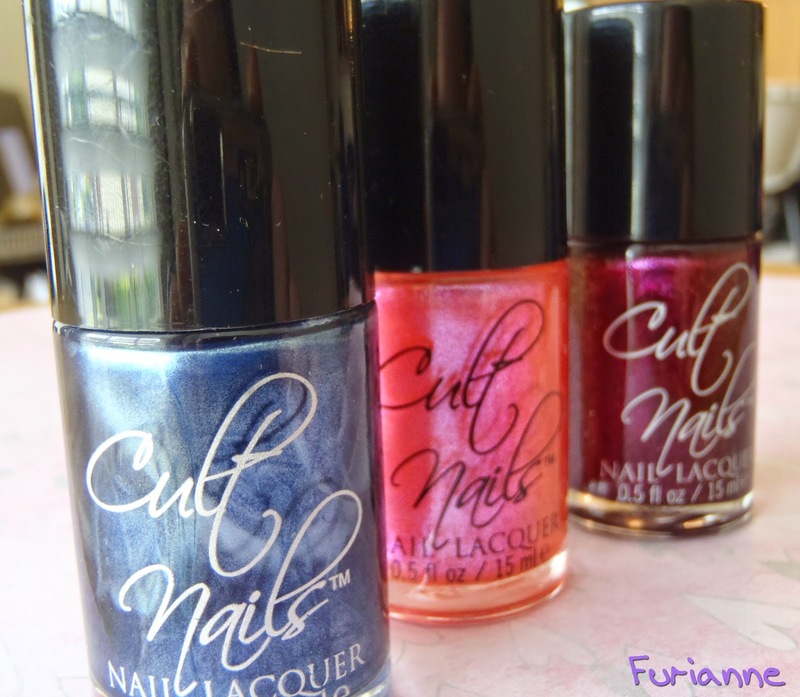 Furianne: Cult Nails Liquidation Sale - Round Two! 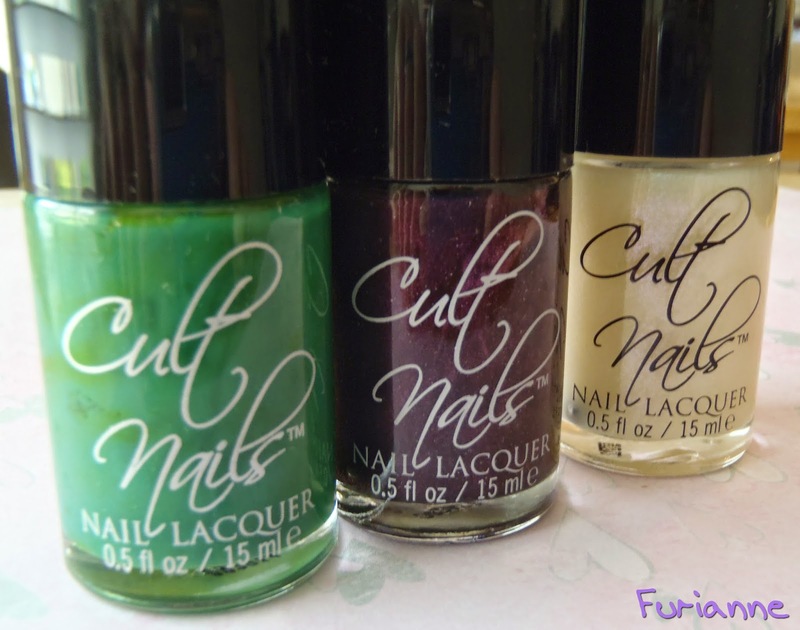 Imagine my excitement one morning when I checked the Cult Nails Facebook page to find that they had finally opened up for round two of their liquidation sale! Dazed: A frosty blue color. I'm curious as to how streaky this will be when I apply it. Charlatan: A duochrome glitter/shimmer that shifts between pink/purple and light blue/dark blue. Bitten: A magenta/red jelly with red/pink duochrome shimmer throughout. Flash: A creme grungy green color. It looks like the base color to Feelin' Froggy. Enigmatic: These names are just amazing. A deep musky purple/brown with shimmer that ranges from silver to blood red to murky brown. Doppelganger: This looks like they took the shimmer from Disciplined and stuck it in a blue shimmer suspension base. I'm excited to see how it performs when layered. Party Time: A teal-blue creme color. You have to apply it to appreciate the color. Ignite: A black jelly with silver glitter throughout. I can imagine doing a galaxy mani with this as the base. Iconic: A red base with yellow/gold shimmer and rainbow flakies. I may go back and buy a backup of this. I don't own any other polishes like this and I can't think of any other brands that have anything close to this. Think of fire in a bottle. 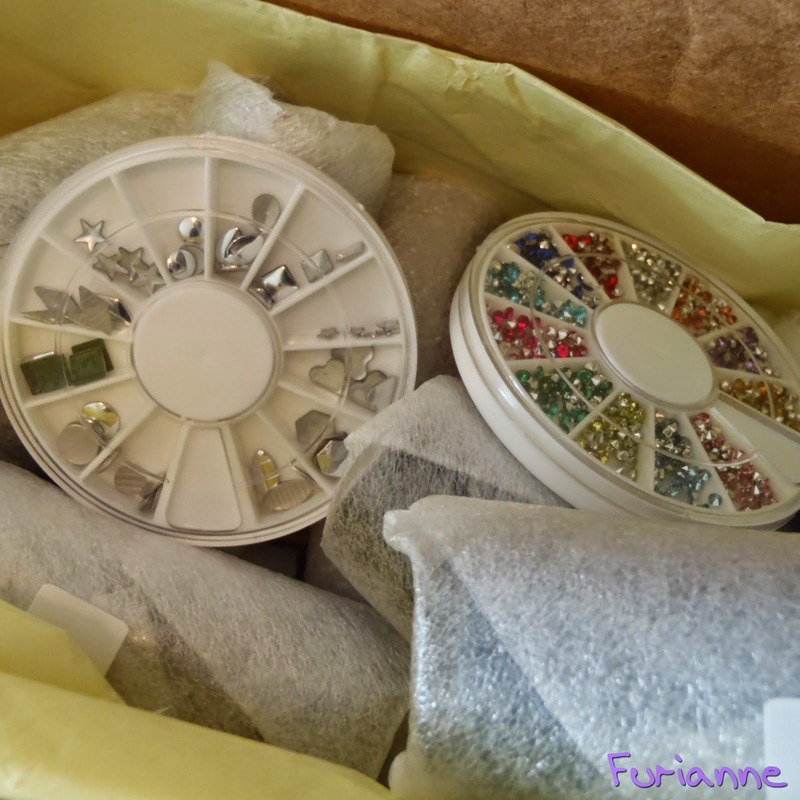 I got some freebie nail art wheels and I'm excited to use the studs. 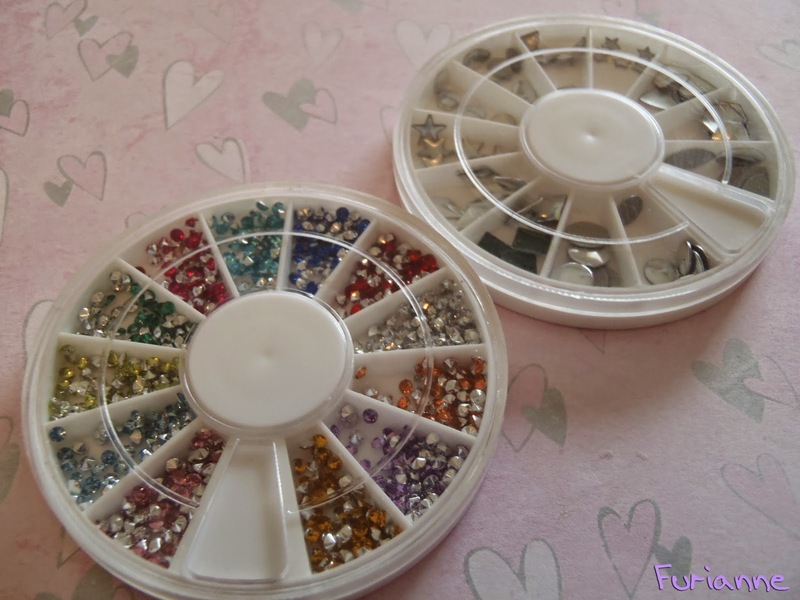 I don't actually own any nail art studs, nor do I have rhinestones quite that small. Time to do some more nail art! That it for this haul! 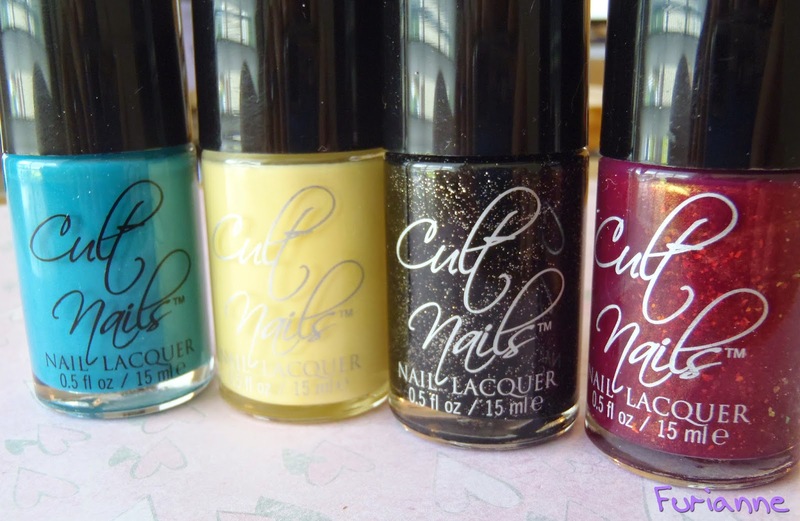 This brings my current Cult Nails count up to 25. Oops. >_> In my defense, it's been bought over time. Except for the past 18. Shh. What colors would you like to see swatched? Did you buy anything this time around? Sweet birthday haul!!!! Love her nail art wheels. The studs will be fun. Looks like the mini rhinestones are kinda like the ones it got, squares? I would love to see Iconic, enigmatic, charlatan, and ignite swatches please. I sat out part two but now I am regretting it LOL!